The concept of the laptop or notebook as companies call them more often than not might have remained the same, but the game has certainly been completely changed. One such pioneer of the new breed of “gaming” notebooks is MSI and today they have sent us one of their most interesting models to date, the MSI GS40 6QE Phantom. What makes the GS40 Phantom such an interesting model is the small, but capable 14” 1080p screen; yes, not everything is 4K and those who follow me on social media know I’m not sold on 4K (yet). Powering this solid 16:9 screen is the powerful, yet subtle NVIDIA GeForce GTX 970M with 3GB of GDDR5 VRAM. This GPU is very capable at delivering high and consistent frame rates at 1080p and when used with a processor like the one MSI have installed here (Intel Core i7 6700HQ 2.6GHz), it should absolutely fly. Why does the above seem interesting? Well the whole GS40 Phantom itself weighs only 1.6KG making this a solid option for the hard-core gamer that really has serious space constraints; League of Legends on a train with a 4G dongle sounds fun right? So this lightweight and dinky 14” gaming notebook has a multitude of key points and features which includes a fully backlit red LED keyboard; not RGB I’m afraid, but nevertheless, still stylish and cute. Mounted in the top of the casing and above the screen, MSI have included a FHD 1080p webcam which is capable of capturing video at 30fps. 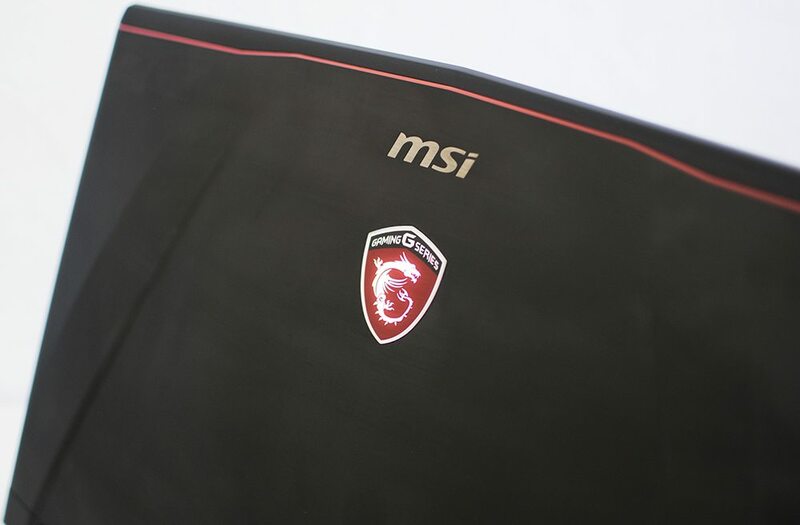 The overall style and colour scheme is all black, but MSI branding is predominately featured on the back casing and below the screen itself; this adds a nice premium two toned look. The GS40 Phantom is in fact a gaming notebook and most gamers use a separate mouse when using it, however it does of course come with an obligatory trackpad with a left and right mouse button; some find them pesky, others a god send! 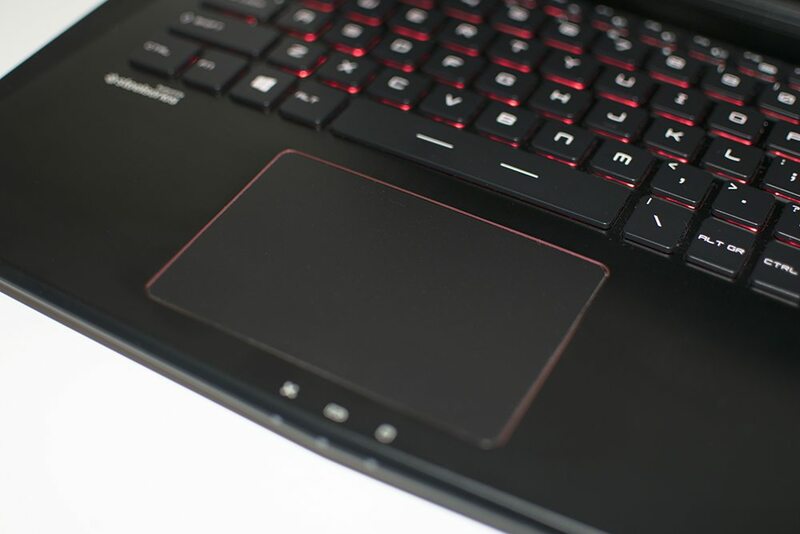 The keyboard itself, by renowned peripheral company SteelSeries, comes with red illumination behind the keys; the keys feel pretty spongy and i found that when pressed too hard, the whole keyboard has a tendency to bend. 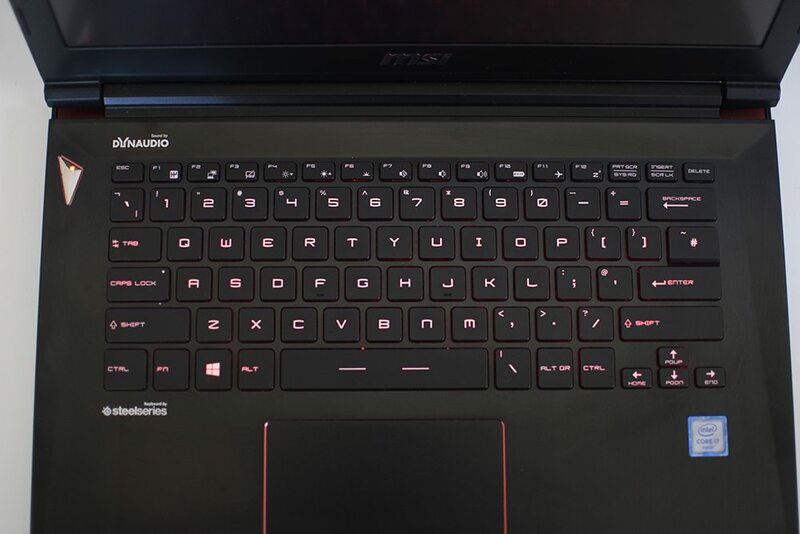 A power/reset button can be found at the top left hand side, with this particular keyboard possessing variety of FN (function) enabled keys. These included increasing/decreasing the illumination on the keyboard and various media functions such as turning the volume up or down at the press of a key – as long as you also hold the FN button in of course. Connections wise, the GS40 Phantom includes a singular USB 3.0 port with another featured elsewhere (2 x USB 3.0 in total). Also included is single USB 3.1 Type C port for all those new and improved super speed devices which are still slowly being released onto the market. MSI finish up with a HDMI 1.4 and MINI DisplayPort 1.2 connection; the latter supports 4K with 60Hz support. 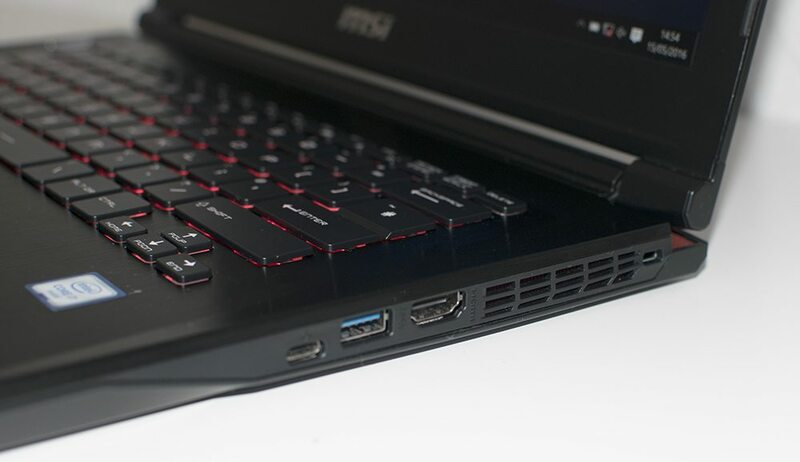 Just a few more notable features and functions to mention before we get into the testing of the GS40 6QE Phantom gaming notebook. Firstly, this model comes pre-installed with Microsoft’s latest Windows 10 operating system on a single NVMe enabled M.2 Samsung 256GB SSD with 1TB 7200RPM storage HDD to assist with any storage needs. 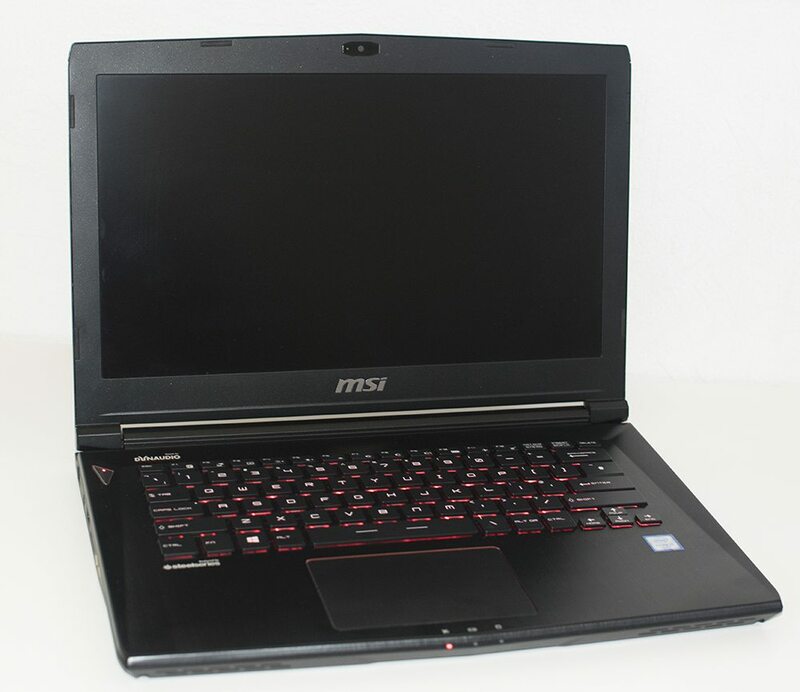 Although this particular gaming notebook supports up to 32GB of memory, MSI have pre-installed an ample 16GB (2x8GB) of 2133MHz SODIMM RAM to compliment the rest of the specifications. 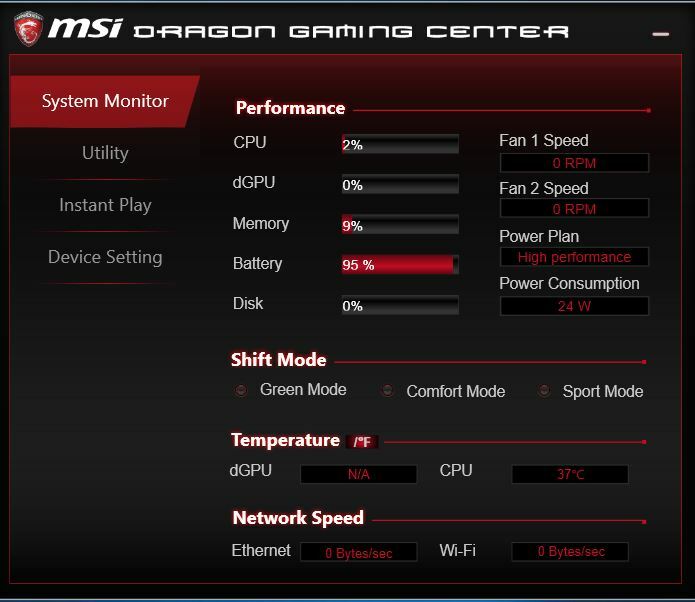 The MSI Dragon Gaming Centre app comes pre-installed and has quite a few functions up its sleeve. Aside from the system monitor which is pretty self-explanatory, the utility tab allows you to allocate certain software such as GeForce Experience which puts everything in one easy to find place. Instant play does the exact same thing, but for games (obviously). The device setting is the most interesting as when plugged into the mains, it allows you to shuffle between MSI’s 3 main modes; green, comfort and sport. Last but not least, we have MSI True Colour. 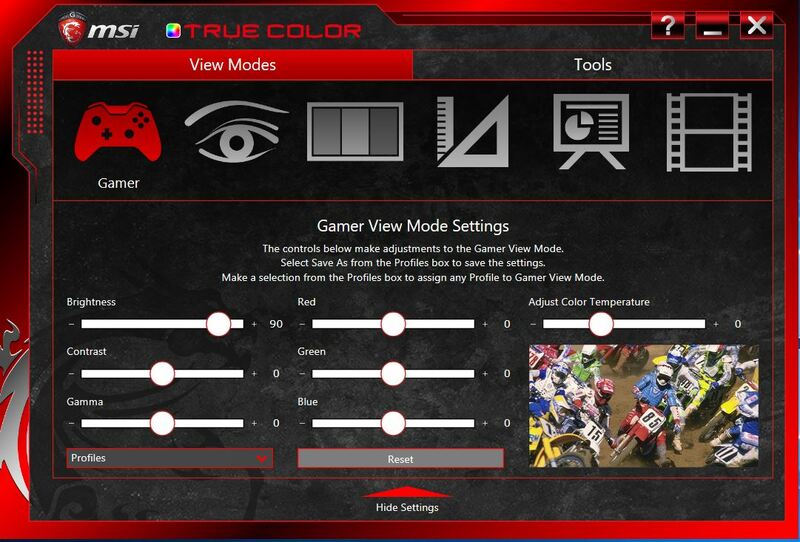 This allows users to use to customise the contrast, gamma, brightness and RGB aspects of the screen. There are pre-sets such as gamer, movie, designer etc. which changes the settings of the 14” 1080p screen based on its intended use; I actually love this, but everyone will have their own preference, I can assure you of that. Next articleMajor TeamViewer Security Breach?